‘The Repeat’ or ‘The Curse’? 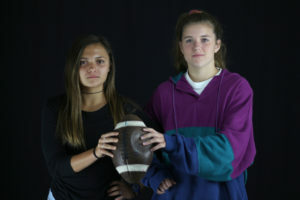 Who win this year's Powderpuff Championship? 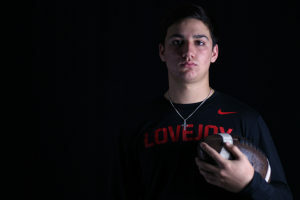 Regardless of whether you are an avid follower of your favorite college football team, a diehard supporter of your local NFL team, or a fantasy football fanatic, there is nothing more exciting than this time of year: the kickoff of the Lovejoy Powderpuff League. Frequently referred to as the LPPL, the one-day football frenzy will take place on Thursday, Oct. 12, in the main gym, as the senior class of 2018 will square off against the freshman class of 2021. The highly-anticipated matchup will be immediately followed by a showdown between the junior class of 2019 and the sophomore class of 2018. If you are looking for stats, news, interviews, and even pundit predictions, keep it locked right here for the scoop. Editor’s note: The reporting in this series is supposed to be humorous and has been blown out of proportion for purposes of entertainment. 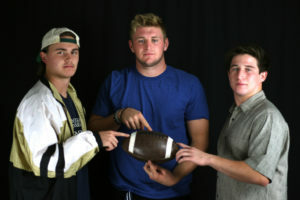 We asked teachers and administration who they think will lift the LPPL trophy this year. The results are listed below. Two words come to mind when you think of this year’s senior squad: defending champs. One of the hardest things to do in the athletic field of competition is to win a championship, let alone repeat it for back-to-back seasons. 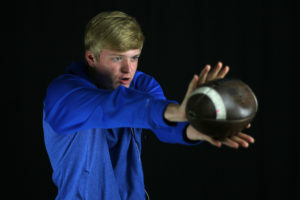 But if there is one team in the LPPL that is up to the daunting task, it is Bumper Pool’s well-coached, disciplined, and experienced football team. With such unprecedented experience and such exquisite determination, the chances of the Class of 2018 team being dethroned as LPPL champions are as slim as the chances of the Cowboys defeating Aaron Rodgers. But then again, there is the Curse of the Bambino, the Curse of the Billy Goat, and of course, the Senior Curse. The last time a senior squad prevailed in the LPPL championship was seemingly an eternity ago in 2015. The Class of 2019 team is an interesting bunch to say the least. The team finds itself in an interesting state: stuck in neutral. Even in spite of the recent changes to the roster and coaching personnel, the team hasn’t truly established its identity in the LPPL. Nonetheless, with the taste of revenge in mind, expect the unexpected with this team. 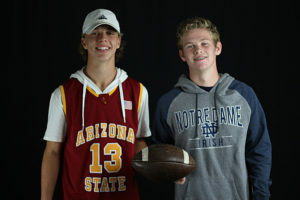 If they can establish their passing game early on, then look for an offensive attack that puts Dak Prescott and Cole Beasley to shame. 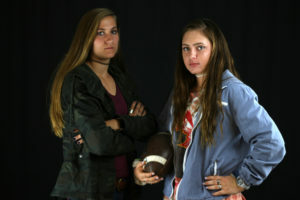 This is not to say that this team is a fan favorite by any means, as the Ashlynn May eligibility conundrum is the biggest fiasco in football since Deflategate. 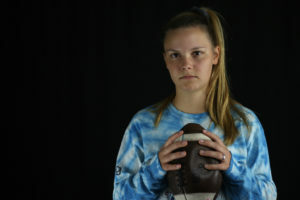 The 2019 quarterback is graduating LHS early this year, but she has elected to make her final hurrah as the signal-caller for the 2019 squad. 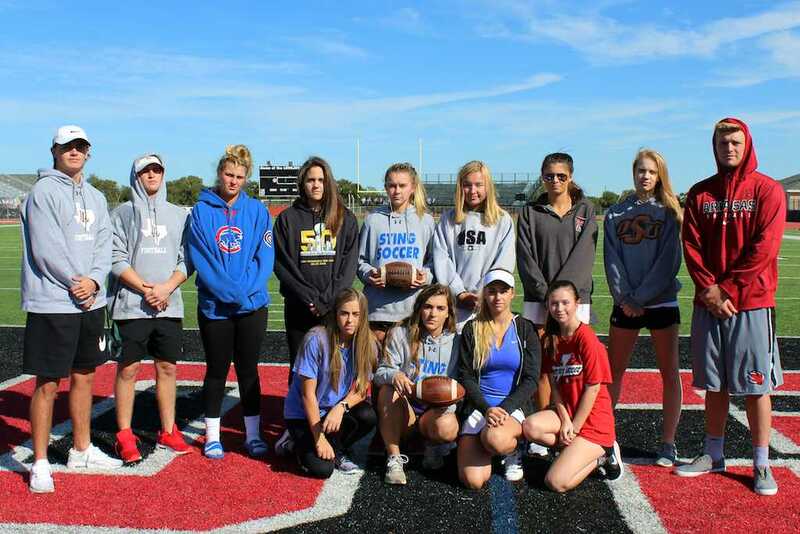 Last year didn’t end in the result the Class of 2020 team was hoping for, but coach Harper Pool’s squad showed flashes of brilliance on the field and gave the Class of 2017 a run for its money in a competitive matchup. Of course, we all like to play hindsight with some of the home-cooking from the officials last year, but the Class of 2020 could be a dark horse contender this year. statement that there will be a tight leash on officiating this year. No excuses, sophomores. The playing field is level (or so we think). I wish I could write a beautiful Cinderella story here about the newest expansion team in the LPPL, but let’s face it, I can’t (not all of us can be as cool as the Golden Knights, after all). History tells us that the freshmen don’t always fair too well when matched up against the seniors (we’re looking at you, Class of 2020), but anything is possible. Except, well, quite frankly, probably not in this matchup. 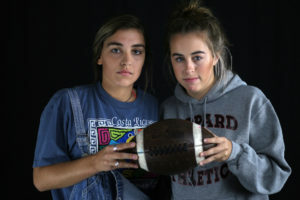 It will certainly be intriguing to follow the Mayfield rivalry storyline though, as underdog freshman coach Luke will look to upset fan favorite quarterback Callie.